Oakhurst Cooperative Preschool (OCP) is a relatively young school (founded in 2005) located in the city of Decatur, a thriving and progressive neighborhood six miles east of Atlanta, Georgia. In this article, OCP parents answer questions about the school with the help of School Director Betty Wood. Your annual 5k race looks like a fun event! How did this tradition start? Is it a major fundraiser for you? About how many participants do you have, and do the majority of them come from inside or outside the school? How did the relationship with James Dean come about? As a school, we are very proud of our Beat the Street for Little Feet Race. Started 12 years ago, it features a 5K race, one-mile Fun Run, Tot Trot, and this year we are adding a post-race Backyard Bash. Because everyone in the family can participate, we see strong participation from both within the school and from the community. Last year we had around 500 participants in the race. This year we are hoping for more! The race is one of our major fundraisers for the year. Apparently, our School Director was told that the first edition of the race in 2008 helped to pay her salary! But, more than that, the race is about building community, moving our bodies, and having fun. One special feature of our race is “Pete the Cat”. Each year, James Dean, New York Times bestselling author and illustrator of the popular Pete the Cat picture books, creates an original Pete the Cat design for the race, which we feature on the T-shirts given out to participants. One of our school’s founding families is friends with James Dean, and although they no longer have kids at the school we are very fortunate that this tradition continues. This year’s race will be held on April 20, 2019, so break out your running shoes! Participants at the start of the 2015 Beat the Street race. Your school is on the new side in the co-op world. What inspired your start and how has it grown and changed since 2005? Are the people who started the school still involved? 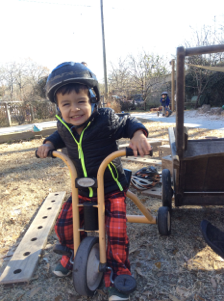 OCP was born out of the enthusiasm and drive of two parents who wanted to start a co-op preschool in Decatur. Decatur is close to Atlanta but has always had an identity of its own and there was no co-op school in the area. The two parents approached Betty Wood, the Director of a co-op school in nearby Inman Park, for advice. 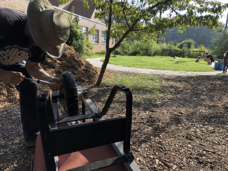 The result was something of a meeting of minds, which saw the parents enrolling their 2-year old children at Inman Park while planning in earnest for the new school. In 2005, OCP was founded, with Betty serving on the new school’s Advisory Board. The initial enrollment consisted of only 5 or 6 kids, taught by a single teacher in of one of the parent’s basement game rooms. 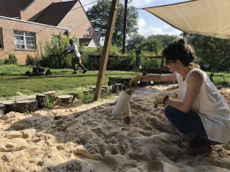 But by 2006, OCP had leased more permanent facilities from the Episcopal Church of the Epiphany, and in 2008, Betty Wood left Inman Park to become the School Director at OCP. Now, the school is on a 10-year lease at it's third site on the grounds of the Thankful Missionary Baptist Church, with 64 children spread across 6 classes. Although the original families have now passed through the school, the school community is very tight-knit. For example, our first teacher still serves on the Advisory Board! Parent-teachers are an integral part of the school’s daily routine, creating a closer connection from home to school. ﻿Every co-op makes the cooperative aspect of their program work in a way that is tailored to their community and needs. How does the “cooperative" fit in to your school? OCP is a very ‘pure’ interpretation of a co-op, in the sense that parents are very heavily involved in running all aspects of the school, from fundraising, overseeing the curriculum, managing the facilities, to helping in the classroom. For example, all parents have to serve as a parent-teacher on a regular, rotating basis, and only relatives of the child can fulfill this obligation - you can’t get your nanny to do it! OCP’s ‘play garden’ is entirely maintained by parents. One benefit of all this parent work is that it subsides the cost of running the school. But it’s also central to the school’s ethos and values. Parents bring their skills and interests to the classroom or share them with the school as a whole. This unique practice enriches the classroom experience and aids in creating strong connections between families. Many families relocate from different states or countries or are otherwise separated from the traditional extended family support systems that previously existed. OCP’s co-op model helps to provide some of that missing community, and a stronger connection from home to school. Your commitment to diversity and environmental stewardship is apparent. How has that guided your decision-making in terms of staffing and programming? OCP has been a green school since inception, and this is evident in all aspects of the school. For example, lunches are required to be ‘waste-free’ (we recycle and compost on site), all toys are sustainably sourced, and fish and ‘trees’ placed in the bathroom remind children not to waste water and paper towels. From a staffing perspective, all teachers are asked about their personal practices in relation to the environment during the interview process. From a programming perspective, seasonal themes and celebrations and a nature table in each classroom help children connect with the rhythms of nature. For example, the children plant and raise food crops in the play garden, culminating in an annual ‘harvest festival’. 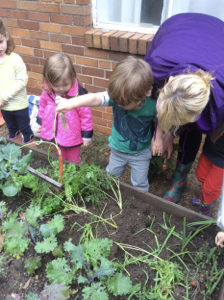 Through planting, tending, and harvesting their class’s garden bed, children are better able to understand where their food comes from. 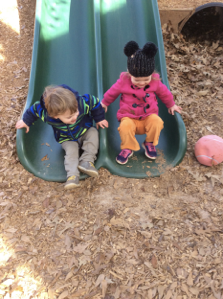 The children also spend a significant amount of their time outside. Instead of traditional constructed playground equipment, the ‘play garden’ contains natural features such as tree trunks for climbing, a slide and tunnel built directly into a small hill, a sand pit, an art wall, a music garden with outdoor drums and xylophones, and a rustic, simple wood cabin. All believe that all of this fosters imagination, and helps our kids to feel confident in the natural environment. Harvesting the class garden bed! We believe that time spent outside helps our children feel confident in the natural world. It seems you offer a wide array of enrichment classes. Have these initiatives been well received by your community? Do you bring in outside instructors to run the programs? Are they offered only for current students, or can non-members enroll? The enrichment classes have been a great success. The instructors are generally from outside the school, although they can include parents. The classes are only for current students aged three and up, and they run for 45 minutes immediately after school. This session we have instructors offering Spanish, Drawing and Art, Gymnastics and Yoga! Your summer camp program would probably be of interest to many. How did it evolve, and how does it differ from your school year program? Are camps also run as cooperatives? The summer camp program came about because some parents preferred to keep their children at OCP, rather than sending them off to a summer camp somewhere else. The camp follows our school-year curriculum, but it’s run by a separate Director, with a mixture of teachers sourced from within the school as well as the local community. But it’s not run as a co-op so that parents can get a break from teaching! Many thanks to Betty Wood and Peter Anderson for taking the time to respond to questions for this article! 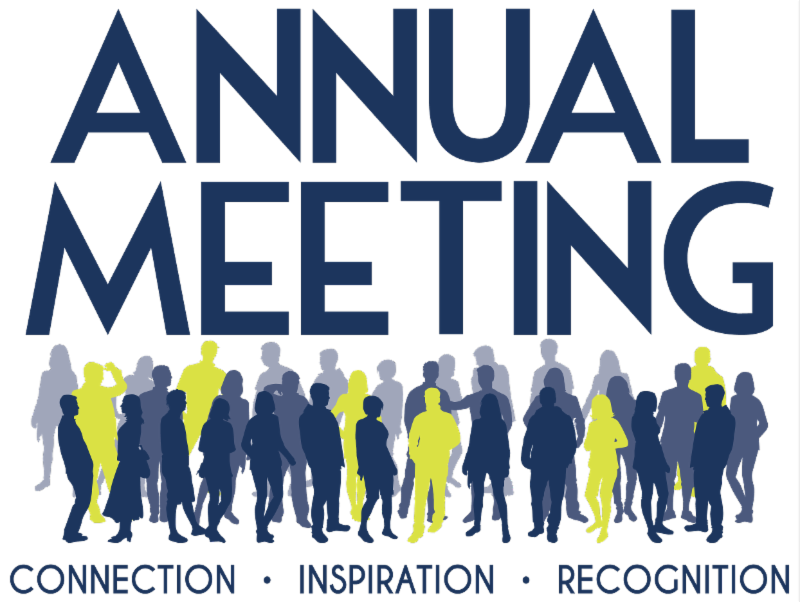 The PCPI annual meetings are held each spring, and provide the ideal venue for delegates to share their successes and concerns, to receive support and direction, and to exercise their vote. This year, the meetings will be held in the Michigan League on the central campus of the University of Michigan in Ann Arbor, and will include conducting the business of PCPI, strategic planning/goal setting, networking and sharing among delegates, preschool visits, and the traditional Awards Ceremony and Dinner. The schedule provides for arrival in Ann Arbor on Thursday evening, May 9th, with meetings starting on Friday morning, May 10th, and continuing on Saturday morning, May 11th, at 8 am. These days will feature visits to some of Michigan’s oldest and most established cooperative preschools. The Awards Ceremony and Dinner are scheduled for Saturday, May 11th, at 5.30 pm. This year we will once again have our mini-fundraiser in the form of a bag raffle at the Awards evening. Donate an item to our raffle (this is, of course, optional!) and we will explain how it works. How about a small object of art, a scarf, a child’s toy, some fragrant soap, a jigsaw puzzle, or some stationery? We welcome new and returning members to our board meetings, and are always looking for new board members to take on the tasks necessary to run a successful non-profit. We learn a lot, and work a lot, and have a lot of fun! Join us! The fee for registration is US or Canadian $100, which includes the Awards Ceremony and Dinner. To help PCPI members attend the annual meetings, every effort has been made to keep all expenses as low as possible. Consider applying for a Marika Townshend Travel Grant to help with your costs. See the Resources page of our website, www.preschools.coop , for details. Please register online OR return the completed, scanned form , to megkennedyshaw@comcast.net by Friday, April 5, 2019 . 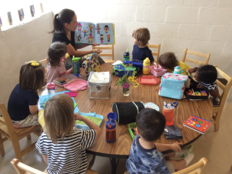 Send your check made payable to PCPI to Parent Cooperative Preschools International, P.O. Box 230327, Portland, OR 97281-0327. Mark the envelope ANNUAL MEETINGS REGISTRATION. Or register online and pay via PayPal on our website www.preschools.coop This will incur a small additional charge. Contact Meg Kennedy Shaw by email or at (734) 665-2285 (h) or (734) 552-2315 (c). Need Help Getting to the Annual Meeting? The Marika Townshend Travel Grant program helps our members attend the PCPI annual meeting. The 2019 meeting will be held in Ann Arbor, Michigan, Thursday, March 9th until midday Sunday, March 12th. Applying for assistance with travel expenses to get to the PCPI annual meeting could make the trip even easier! Parents, teachers, directors and board members of cooperative preschools are all invited to join in this weekend of camaraderie and focus on our cooperative mission. PCPI needs your talent and contributions, and you will take back many great ideas and renewed enthusiasm from this wonderful networking opportunity. Apply for the travel grant by Monday, March 11th, 2019 at noon Pacific Standard Time (3:00pm EST). See you in Ann Arbor! District Award for demonstrated commitment and leadership at the local, council or regional level. National Award for Demonstrated Leadership for an activity that has had a favorable impact on parent cooperatives at more than a local, council, or regional level. Outstanding Achievement Award to recognize an exceptional contribution to, or involvement in, the parent cooperative movement (nominee does not need to be a PCPI member). Honorary Life Membership for an exceptional contribution to, or unique involvement in, the parent cooperative movement (beyond years of service). Certificates of Appreciation to recognize important member contributions to the Parent Cooperative Preschool movement. Any teacher nominated for a PCPI award may also be considered for the Robin Bunster Award for Teaching Excellence. Robin was an outstanding teacher in Oregon and a board member of PCPI when she passed away from cancer. Her husband has funded this award in her memory and a $500 honorarium for the teacher's personal use is part of the award. Mr. Bunster recognized how much of their own time and resources co-op preschool teachers invest in their schools. See award application for details. Detailed awards criteria and nomination forms can be found on the Resources page of the PCPI website . Nominations are due April 10 along with a $20 application fee. A $35 pin is also available to give to award recipients. Questions should be sent to Carole Cordle at pcpi.awards@gmail.com . 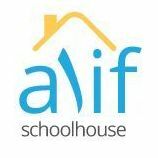 Wed like to offer a warm welcome to our newest member school, Alif Schoolhouse, in Chicago, IL.